DONATE TO SURF FOR ALL! Welcome to Surf For All! 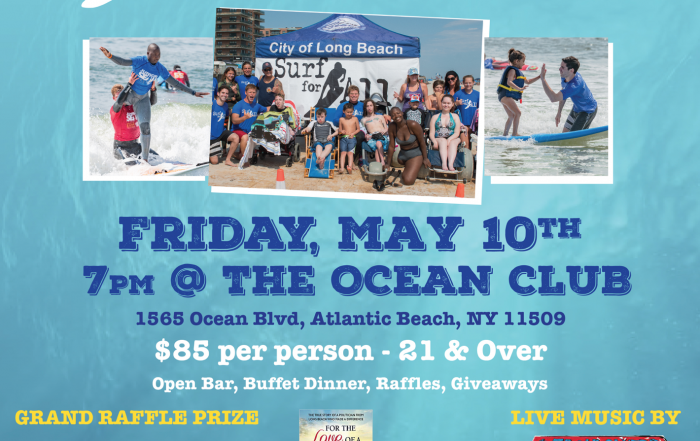 Surf For All is a non for profit 501c3 organization based in Long Beach, NY. We are dedicated to assisting individuals and exposing them to the ocean and the joy of surfing as well as maximizing their potential. We believe the ocean is a source of healing and spiritual strength that should be accessible to all. 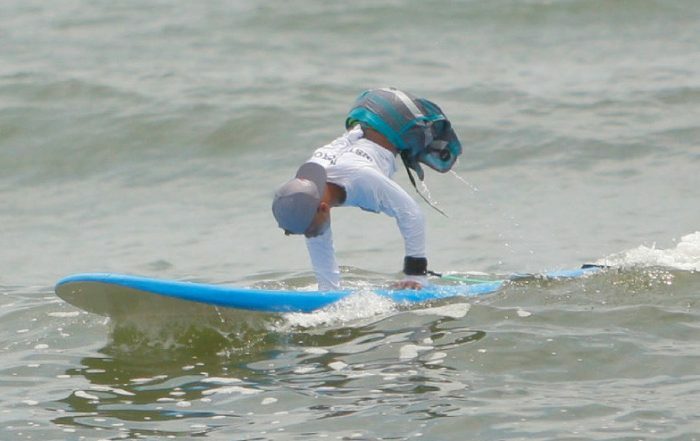 2018 was another successful year with over 25 events, the second year of our Adaptive Surf Camp and our Surf For All – Surf Competition, thanks to NYSEA’s Surf Week. We are grateful for all of your donations, without your generosity Surf for All would not be possible. 2019 is off to a great start with our first Surf For All trip to Rincon, Puerto Rico and our upcoming trip to WSL Kelly Slater’s Surf Ranch thanks to Rick S.
Save the date for our Annual Fundraising Event on May 10th 7-11pm, details to follow. Cliff has a passion for working with students with disabilities and he is a Co-Founder, President and Chairman of the Board for Surf For All (non-profit organization) which helps individuals with special needs learn how to surf. He is also co-owner and president of Skudin Surf Inc., as well as a formally nationally-ranked lifeguard and experienced water man. Cliff is a certified New York State Teacher and holds a Masters degree in Physical Education. He has also has been nominated into the XXL awards in big wave surfing from 2011 – 2015. Will is an internationally recognized big wave surfer who finished 17th in the 2014-2015 Big Wave World Tour and has many big wave achievements over the past years in the XXL Awards. Will is presently on the WSL Tour. Co founder and Vice Chairman/Vice President of Surf for All sharing his passion of surfing with students with disabilities and teaching them how to surf. Along with bis brother he owns Skudin Surf teaching thousands of participants how to surf in a series of surf camps and lessons. 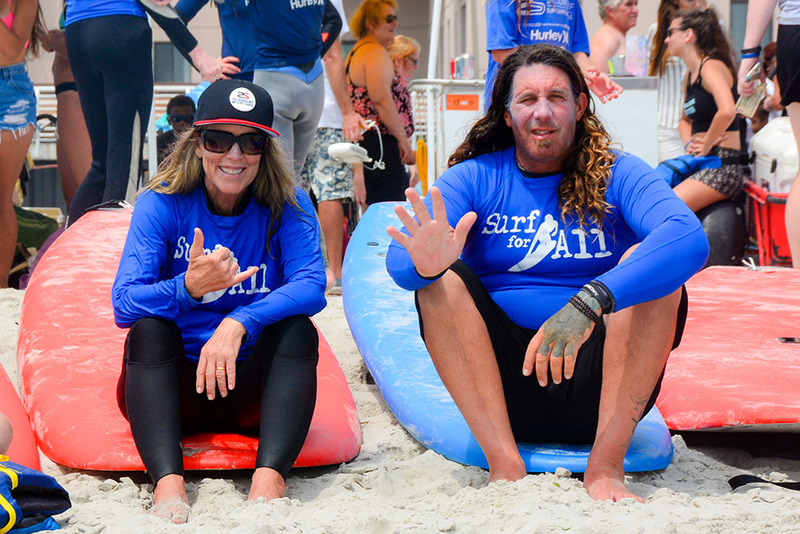 Nancy has been volunteering her time to Surf For All for six years. She comes to us with her knowledge of surfing, kids and an administrative background. Her dedication to the Surf For All foundation makes her a valuable part of the Surf For All team as Secretary for Surf For All. 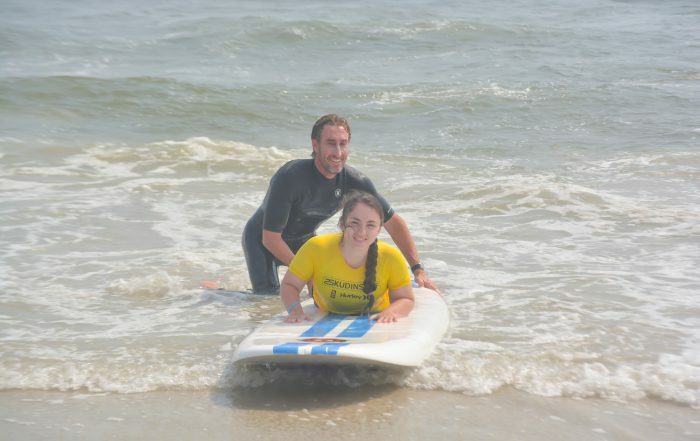 Jim set up the first New York outing for disabled children in 2002 with his friend, internationally known surfer and autism expert Izzy Paskowitz. Jim’s son Dan, has profound autism. Dan was one of the first students in the water. Jim is a consultant who provides security and anti-terrorism advice for clients here and abroad. He is a former journalist and winner of a Pulitzer Prize for Investigative Reporting. In the winter he is an on-ice coach for a hockey team of young adults with autism. Jim is a board member. Dr. Jeanine Sorensen has been involved with Surf for All for eight years bringing students with disabilities surfing throughout the Summer as well as providing consultation to the organization. Dr. Sorensen holds a doctorate degree in school-community psychology. She has been working for the public school system for 16 years as a school psychologist with students of varying disabilities. Dr. Sorensen has worked with multiple age levels and has a wide range of experience with behavior intervention. She is also the mother of two children and has knowledge of surfing. Dr. Sorensen’s clinical, educational, and personal experiences Support the organization and our athletes. For All Disabilities and Abilities! Our surf volunteers and staff members are all certified surf instructors and/or lifeguard certified. They range from students to teachers, from businessmen to politicians, moms and dads, at least one grandparent and a few professional surfers. Its all about sharing the stoke and sharing the love of surfing with our participants.